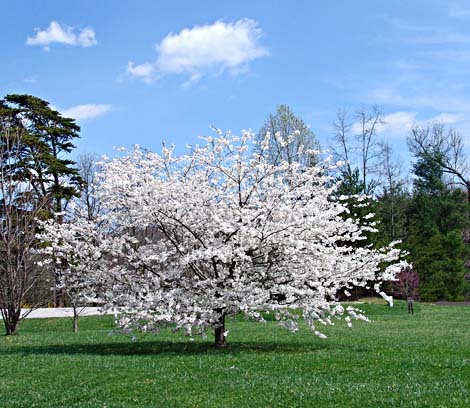 When I see a tree blooming like this, it reminds me that starting over is not always a bad thing. Life or circumstances can put us in a bad way, but we are the only ones who can decide to accept what has happened and move on to better things. We don’t have to wait for Spring to find renewal, but if we find ourselves adrift without work, without friends, or without a reputation, it is probably a good time to look within and decide to create a new life based on a different set of rules. If we have been good little citizens, politically correct, not making waves of any sort and still have ended up in trouble, perhaps we need to examine the "rules" we have been following and make some changes. On the other hand, if we have ridden rough-shod over other people and their concerns and it has all caught up with us, leaving us embarrassed, fired and what not, we might want to examine our motivations and mend our ways. Failing to help or attacking those who are trying to make the world better for others is a sure way to wind up unhappy and friendless. Helping those who help others is almost always a better way to live. If things haven’t been going well, it could be a sign that we haven’t kept our eye on the important things in life. In today’s connected world, our deeds come back to haunt us like never before. We are no longer insulated within the echo chamber of friends and sycophants. Our words and deeds are scrutinized by countless others with vastly different points of view. Whether we act as an individual or as a corporation, our actions can be noted and discussed by others all over the world. In the harsh light of public scrutiny, hidden patterns of behavior stand out in high relief. Whether we are a Governor without a seat belt, a radio personality without sense, or an unethical corporation, our behavior is clear to others and eventually rebounds on us. The key question afterwards is, where do we go from here? Starting over in a new direction is always one hopeful possibility. Of course, there has to be a willingness to change. Without that, the game is essentially over. As long as there is the possibility of change, there is life…and vice versa.